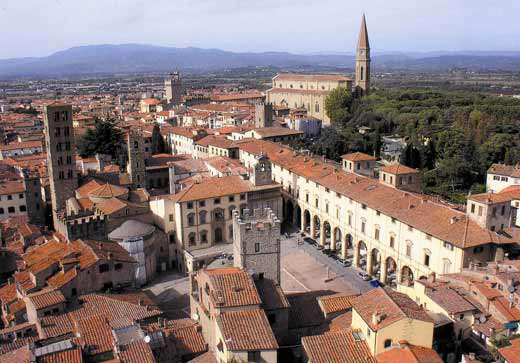 As its architecture proves, Arezzo boasts its ancient origin first as one of the greatest Etruscan towns and then a strategic Roman city. 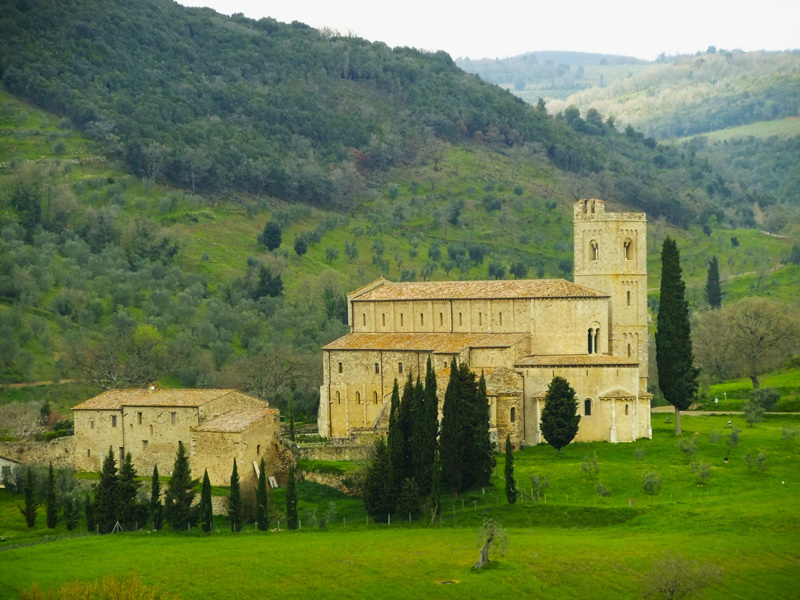 The Church of Saint Francis is the ideal starting point for an itinerary in discovery of 14th Century painter Piero della Francesca. The itinerary continues to Monterchi, with its stunning fresco of the Madonna del Parto, and on to Sansepolcro, where four of the master’s most important works are displayed in the Museo Civico. 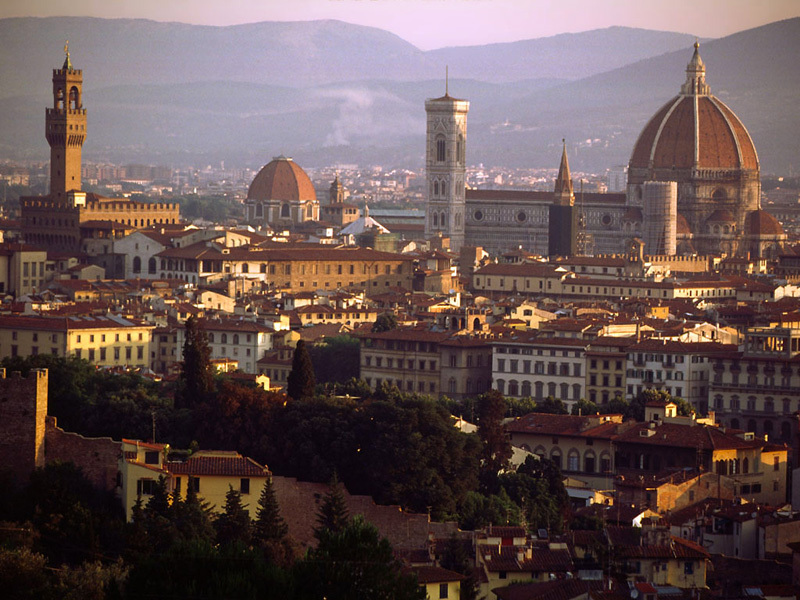 Florence is one of the cities that everyone wants to visit at least once in their lifetime. The concentration of the cultural heritage in a relatively small space – that of the historical centre – is quite astonishing, and includes art, historical monuments, scientific collections, and important sites from the naturalistic point of view. Pristine landscapes and magnificent views are the characterizing features of the Province of Grosseto. 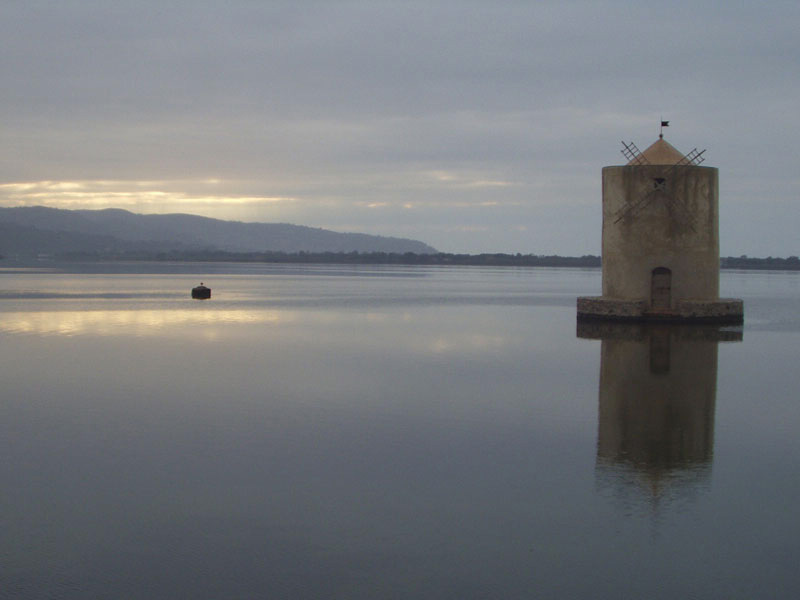 Numerous protected zones thrive in this area, including the The Maremma Ragional Natural Park, the Natural Reserve of Orbetello, Burano Lake and various WWF oases. 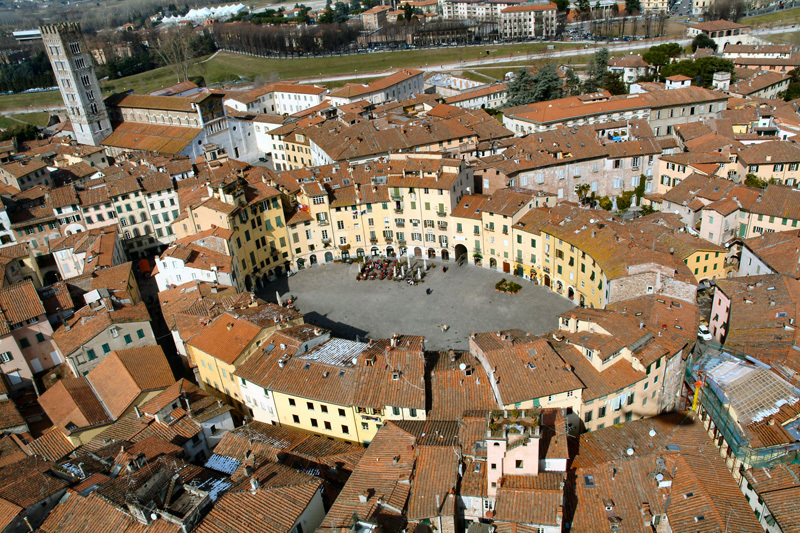 Lucca is city of ancient origins, surrounded by its boundary wall that dates back to the 16th-17th Centuries. Particularly evocative is the old town, which has kept intact its Medieval appearance composed of typical narrow streets and piazzas overlooked by stone towers and monuments from various periods, as the Basilica of San Frediano, the Church of San Michele, the Duomo di San Martino and the Ducal Palace. The countryside in Lucca’s environs offers the opportunity to visit magnificent villas, built between the late 16th and mid-19th Centuries to serve as the country residences and holiday homes for the nobility, all set inside picturesque parks. Among them two stand out the most: Villa Torrigiani with its characteristic gardens, and Villa Mansi. 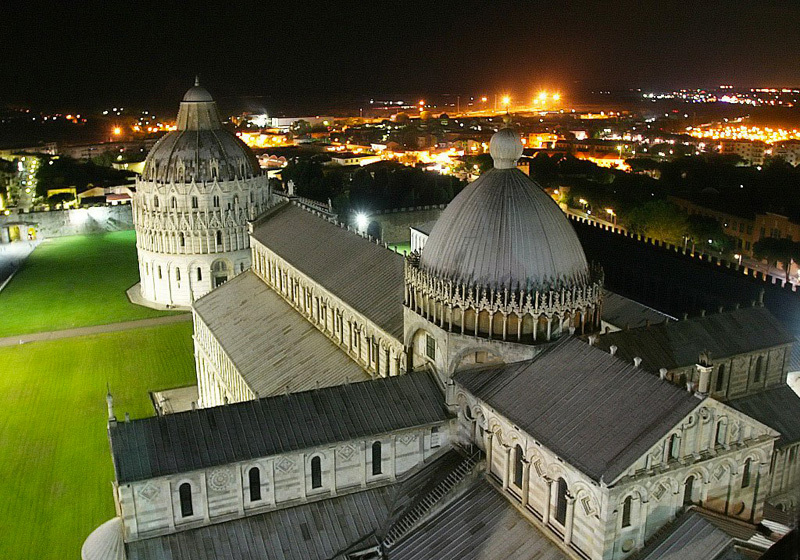 The city of Pisa plays host to treasures of priceless value, making it one of Italy’s most important cities of art. The Piazza dei Miracoli, declared a UNESCO World Heritage Site, is the hub of the prized artistic and architectural offerings. Pisa’s Ancient Maritime Republic has a great deal to offer besides the renowned Tower and is well worth a few days’ stay, just enough time to take in all of its gems. 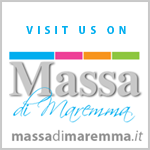 But the entire province of Pisa is an expanse of artistic heritage. Many, in fact, are the villages rich in history, including Volterra – gem of Etruscan, Roman, medieval and Renaissance art – and San Miniato. Traditions, cuisine, wines and spas are waiting to be discovered in this unique territory. 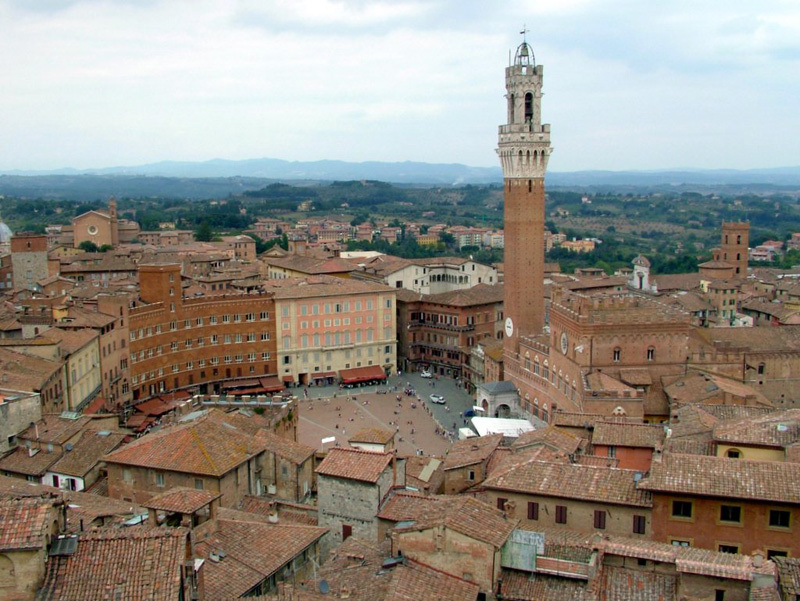 Siena is the town where any single “stone” has remained unchanged over the centuries, famous for its Palio and listed as World Heritage by UNESCO for its singular artistic heritage. In addition to the marvelous City of Siena, not to be missed are the Crete and the Natural and Cultural Artistic Park of Val d’Orcia, listed as a World Heritage Site by UNESCO for the beauty of its landscape. Here stands a city of particular importance, Pienza, the “ideal city,” created upon the wish of Pope Pius II for a city built according to Renaissance ideals. In the Val di Chiana area lie other delightful towns, as Montepulciano, Chianciano Terme (important for its beneficial waters that were famous as far back as Etruscan times), Chiusi , small town with an internationally-reputed Etruscan museum. In Val d’Elsa, charming are Monteriggioni and San Gimignano, also called the “city of towers” for its numerous towers and tower-houses that render its skyline quite unique. 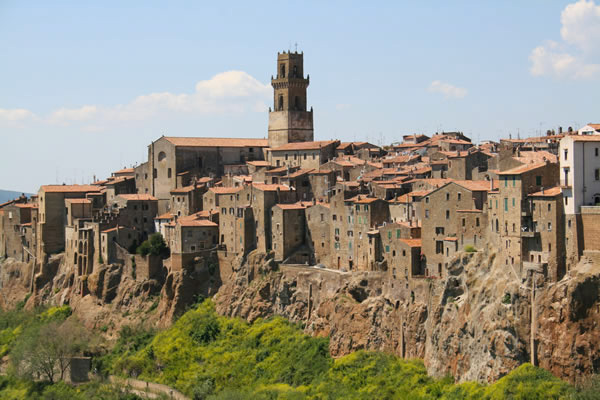 Other characteristic towns abound in the Sienese territory: of particular note is Montalcino, home to the famous Brunello wine, and the nearby St. Antimo’s Abbey, a splendid example of Romanesque-Tuscan style with Lombard influences. Val di Merse is constituted of solitary but fascinating places, including the ruins of the San Galgano Abbey that date back to the 13th Century.